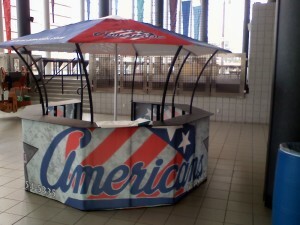 Improvements for Opening Night at Blue Cross Arena · Let's Go Amerks! The Amerks start the 08/09 regular season labeled as “A New Day for a Rochester Tradition” on Friday night, you’ll also see some noticable differences as you arrive at Blue Cross Arena. An update on the team we’ll see on the ice Friday night is going to be posted later tonight. As you approach the arena you’ll see an improved outside with tree’s planted and alternating sidewalk slabs painted. 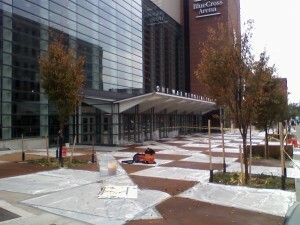 A nice improvement over lots of empty concrete. 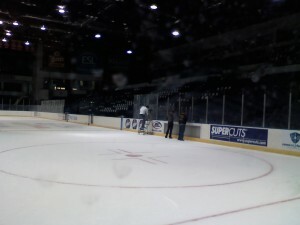 Inside of the arena crews were also busy touching up paint and cleaning the place up. There’s an improved sound system that should be clearer, not just louder. 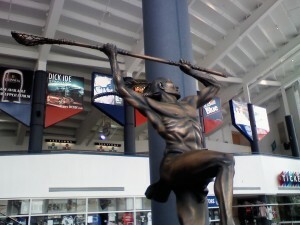 Once inside of the atrium you’ll be greeted by a large bronze statue of an indian lacross player, the statue is named “For Love of the Game.” It was donated by Curt Styres and his sons Wakeriat Bowhunter and Radowits Bowhunter. 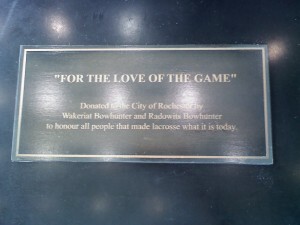 Click the link for the full story of the statue on the Knighthawks web site. 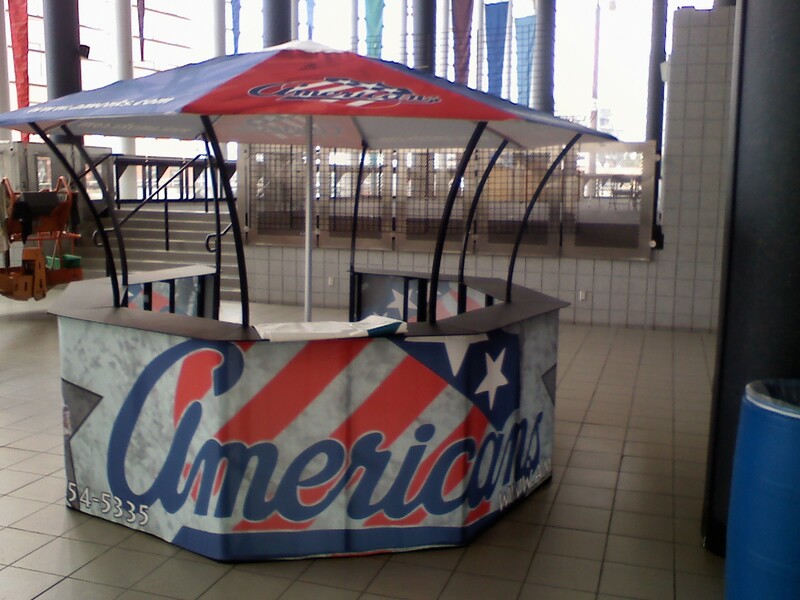 Once you get to the top of the stairs you’ll also see an Amerks information booth, which was also present at the preseason game as well as the fun fest. 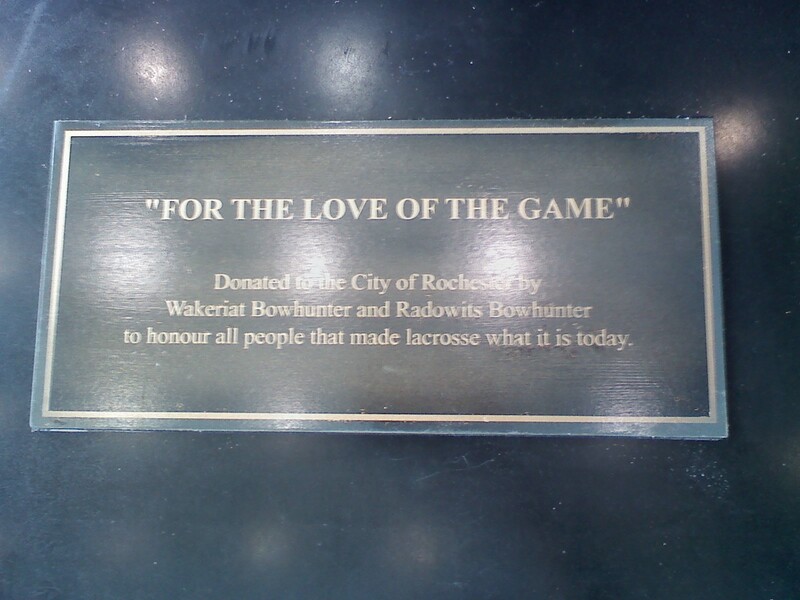 It’s only an information booth, but it grabs your attention and should help the team as fans inquire about various things going on. And lastly, the most exciting improvement appears as if the glass is getting buffed out!! 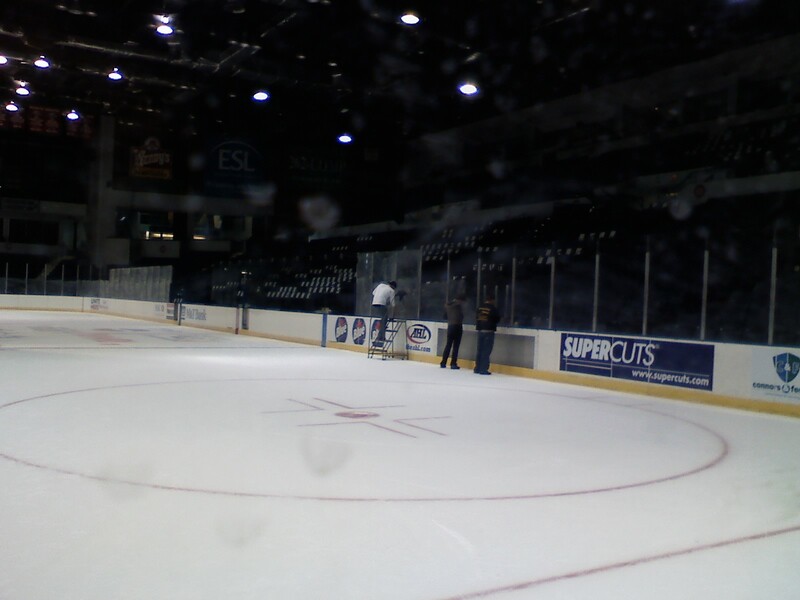 Crews were busy working on the glass this morning. 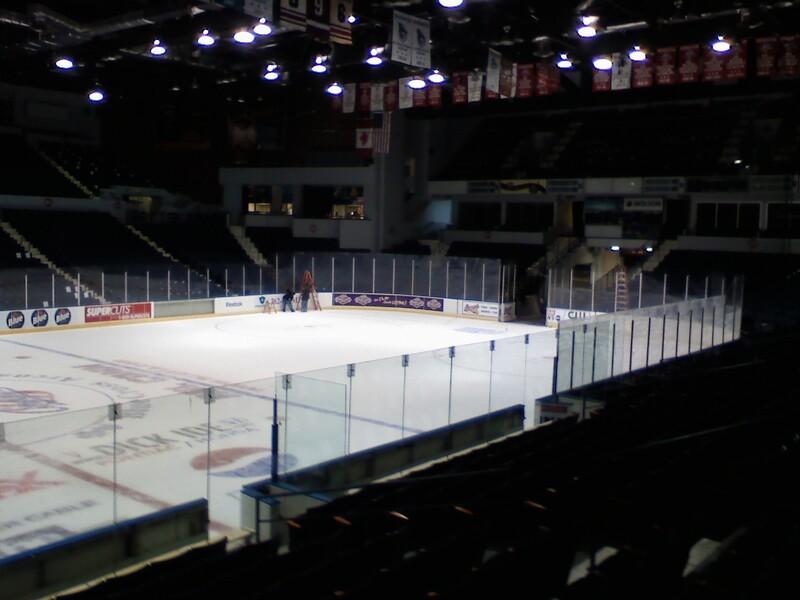 Anyone who sits close to the ice knows how bad it has gotten. As you’ll notice in the 2nd picture, you can’t even take a picture through the glass and get a clear shot. Add in thousands of marks on the glass like that and it impacts watching the game. 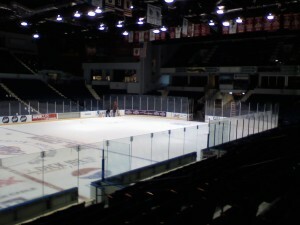 New ownership has not only made improvements to the Amerks, but the arena itself! Assuming we win some games, this is definately turning into a season to look forward to! See you on Friday night!